How do kids learn new vocabulary? 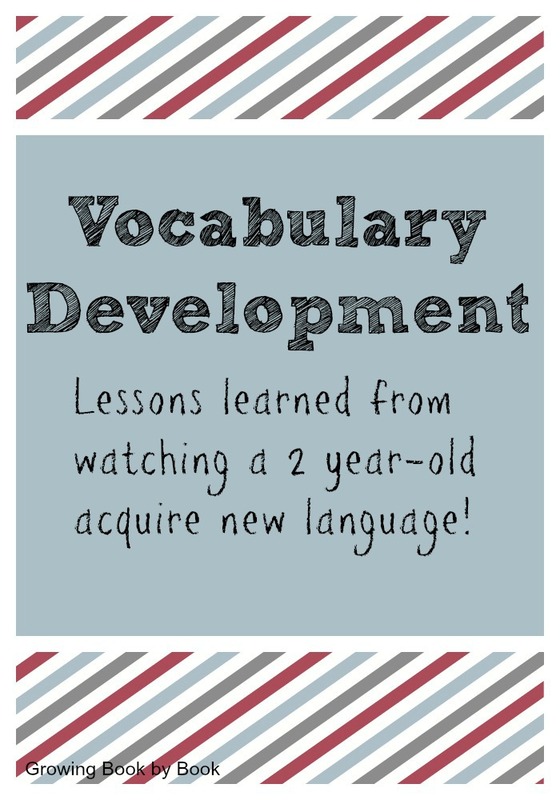 What is the best way to nurture vocabulary development? I’ve always had a strong interest in building vocabulary and the role it plays in becoming a proficient reader and writer. Over the years, I have researched vocabulary development in-depth. I’m a big fan of the work of Isabel Beck, the author of Bringing Words to Life, in which she writes about vocabulary development and instruction. My son would be considered a later talker by some. He didn’t say more than five words until he was 26 months old. Then, we were reading Cars, Trucks and Things That Go by Richard Scarry one day and my son said, “flat tire” on the page where all the cars and trucks run over nails. I was a bit stunned and quite amused. From that day on he spoke in two-word phrases quickly progressing to short sentences. I’d say from the beginning that about 90% of what he said to me was clear from the start. So, what exactly has my 2 year-old taught me? 1. Vocabulary acquisition starts long before we can articulate it through reading, speech or writing. It starts with listening. We read all of the time in our house. Each time we read to kids we are planting the seeds of new vocabulary. Little ones love to have a book read over and over again. This works out great for vocabulary development because we need to hear new words over and over again until they become our own. 2. Once we acquire a new word we have to practice it. My son loves the word “silly” right now. He likes to look for situations where he can associate the word with an event that is happening, a picture or something he hears. He is constantly look for opportunities to name the word in multiple contexts. 3. To help define the word, it helps to say what it is not. 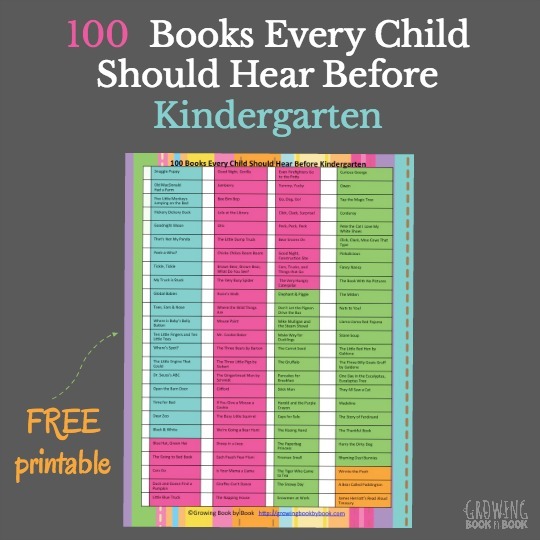 For example, my little one might say, “That’s not hard. That pillow isn’t hard. That’s silly (remember this is his fun word right now! ).” Learning examples and non-examples helps to clarify the vocabulary word. 4. Conversations are one of the strongest ways to build vocabulary. I’m fortunate that I get to stay home with my boys and talk with them all day. Yes, it can be tiring. However, I love to hear about what they are thinking. Talking with kids is a super powerful way to increase vocabulary naturally. Having a strong vocabulary aids in comprehension and word recognition. Watching a toddler acquire new vocabulary teaches us how any person can/should acquire new words. So, please don’t have kids copy definitions of words or memorize definitions. Instead, help kids to connect new word/concepts with prior knowledge. Let them come up with definitions in their “own words”. And most important- read, read, read! For more information on vocabulary and some of my favorite vocabulary games see my post, Vivacious Vocabulary. 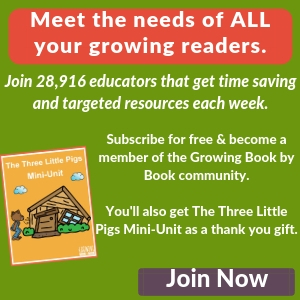 You might also enjoy, Books to Get Kids Excited About Vocabulary. 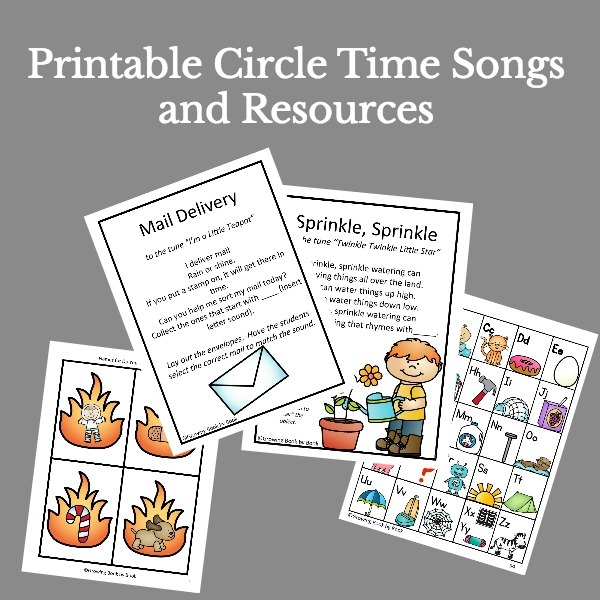 What fun activities do you do to help promote vocabulary? 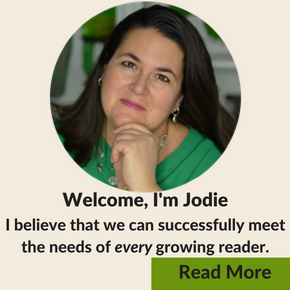 Hello Jodie, I found your website thanks to weteachgroup and I think you really provide great resources! As for vocabulary development, I think that what you say is not only true for learning a mother tongue, but also for learning a second or third language. I think we can help children learning a foreign language by using mostly the same methods we use for teaching him/her to talk in his/her mother tongue. That is why I read books written in different languages in order to teach a foreign language to my or other people’s children. When summer is over I am planning to write a post on this subject and I would like to report what you says here, but as my website is visited a lot from France and Italy too could I translate it to French and Italian (and obviously put your name and link to the website)? Thanks for sharing this post! I am teaching kindergarten, and my class is about 75% ELLs. To get these children talking, I give them lots of opportunities to talk during the day. They talk to their classmates, talk to other adults, and talk to me. I use a lot of partner work. We “turn and talk.” We use reading buddies and talk to each other about books. I have a very talkative classroom! The thing I struggle with is that I’m not sure what teaching practices are truly best for delivering vocabulary instruction. Should it be taught explicitly or implicitly? I’ve read a lot about it, but it there are many conflicting views. I typically focus on six tier three words each week. Day 1: I use vocabulary cards and a big flipchart with pictures of the vocabulary words. We name the pictures and match the vocab cards to them. Day 2: We review the words by reading them on the flipchart. Next, we view a powerpoint which shows the picture with a sentence, using the word in context. Day 3: We create a large, class sized Frayer’s Model for a word or two that is more difficult. Day 4: We complete “quick sketches” where the kids illustrate each word. Day 5: At the beginning of the year, we play charades and children act out the words if possible. At the end of the year, the kiddos write a sentence using the word in context. Do you have any other suggestions for vocabulary lessons? I have read so many conflicting views, that I’m not sure what is best at this point! Thanks for sharing! Jenny, I love that you are thinking about what is best for your kids! You are right, there are different theories about learning vocabulary. I really lean towards the work of Isabel Beck. I think you have probably read, Bringing Words to Life. If not, I highly recommend it! I love your quick sketch idea. That fits well with Beck’s work. In the end, I think you have to pull the best of you research and try it. If it works, hang on to it. If not, let it go and try another approach. The same approach doesn’t work with every group of students every time. Make sure that the work they are doing is meaningful and that they are helping to create meaning/connections. I’d be happy to get together with you this summer to talk about it more and help you come up with a plan!